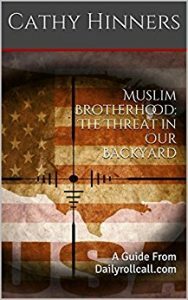 Muslims in America are not your friend. Muslims who claim to be “devout” have a religious obligation to spread the word of Islam, and to create a world where Islam is dominant, at all costs. Communities of Muslims that were once silent, and appeared to be assimilating, are now becoming the loud voices of change. They also are being recognized and exposed as they become blatantly more aggressive and resistant to American laws. Jihad in Arabic means struggle, Jihad in Islam means war, and Muslims in America are performing the latter, in sometimes small, insignificant ways. Recently in Nashville TN, Metro police raided and shut down two businesses owned and operated by Muslims, that were deemed to be public nuisances. In a 12 week span, 95 calls for service were received, but those two same businesses were the cause for over 3000 calls over seven years. So how is that jihad? First you must understand that Muslims are not allowed to follow or enforce any “man-made” laws, but rather must follow the life of the prophet Muhammad, and only laws that are created by Allah. Allah is the creator of all things, and therefore only he can create laws. One of ways Muslims perform jihad is to ignore the laws of the country they live in, often promoting illegal activity within their communities. Another way is to seek the destruction of non Muslims by providing them with products which are eventually debilitating, such as alcohol, tobacco, and gambling (lottery). Keep in mind, according to Islamic law, it is haram, (not permissible) for Muslims to sell, consume, or touch these products, unless they are used to harm the enemy..non Muslims. One of the two businesses closed by Metro Nashville police was Zmart, 24 Lafayette St, a small convenience store, which sources say sold those products. According to the Tennessean newspaper “An investigation found the businesses were used to facilitate or allow the commission of violent crime, along with drug distribution, drug use and a number of other crimes.” The owner of this property is Husani Hassan. While it is against Islamic law for Muslims to sell these products, it also is a form of deception, which is completely acceptable in Islam as they are living in “Dar al-Harb”, which means “the house of war”. In addition to selling haram products, many, many, of businesses owned and operated by Muslims across the United States are merely fronts for making money to support various terrorist organizations in foreign countries, however, Yes, there are businesses that provide monetary support to Al-Qaida, Al-Shabaab, or charities like Islamic Relief, located right here in America. Note, remember the goal for Muslims is to convert non Muslims to Islam. Vast numbers of these businesses are in poorer, impoverished neighborhoods, often being the only business available within walking distance of its residents, therefore becoming a dependent source for food, and other products. Perfect, fertile ground for spreading the word of Islam. The next time you need cigarettes, beer or lottery tickets, perhaps you should be mindful of who is selling you those goods. Next → Next post: Justice or Revenge.. Nashville Tennessee’s Possible Police Oversight Committee. Part One. Stan’s religion, Islam. It should be banned in America…and the world for that matter. Islam is evil…Devil is evil….the real name of the allah god of Islam.